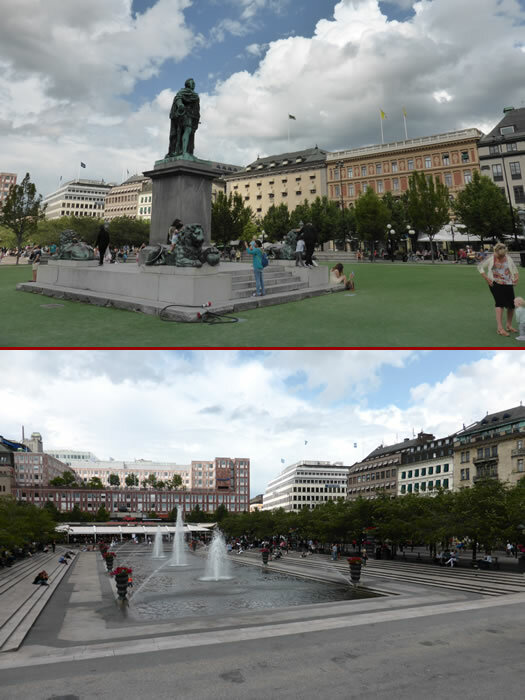 This section of Kings Garden (top photo) is known as the Square of Charles XIII and of course featured the statue of the king. The end section of the park had the Fountain of Wolodarski (bottom photo). This becomes an ice skating rink in winter.